Truck, trailer or Airstream, food on wheels plays a huge role in Austin’s culture. Sometimes it can be difficult to explore the food truck scene, since many of these mini eateries don’t have consistent hours of operation. But the good thing about food trucks is they are everywhere! One of my favorite streets to explore is South 1st Street. There are two major food trailer parks on the strip, as well as several other notable trucks between the two. So get your Thanksgiving pants out of storage and eat your way through these food trucks on South 1st Street. 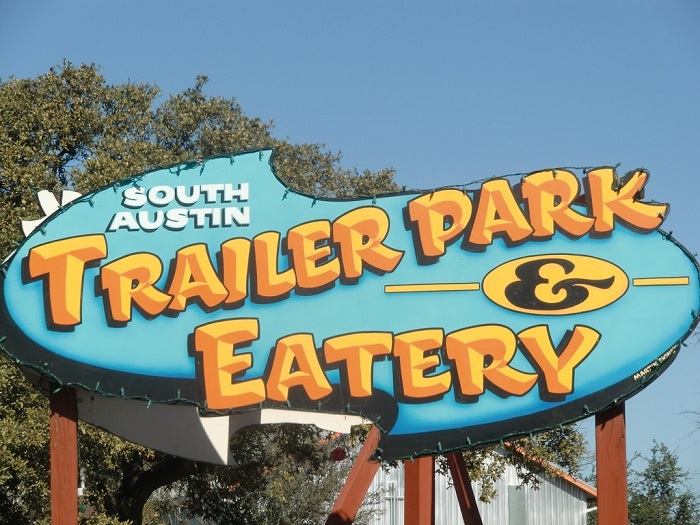 South Austin Trailer Park & Eatery is one of the most notable food trailer parks in the entire city. Located at 1311 South 1st St., you’ll find plenty of outdoor and indoor seating, plus restrooms. The food options have stayed pretty consistent over the years. 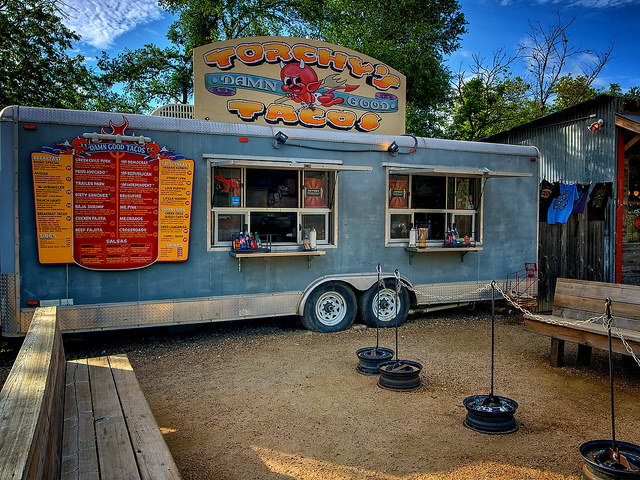 The biggest change took place in 2018, when the original Torchy’s Tacos food trailer closed down. It had held the preeminent spot at South Austin Trailer Park since 2008. 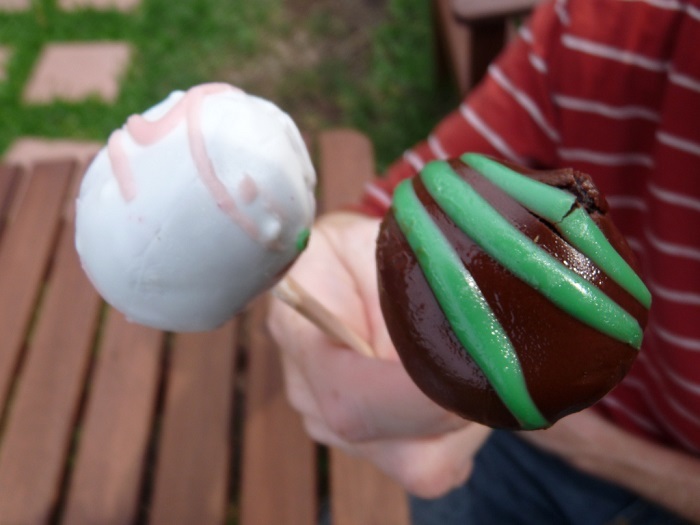 Sometimes our cravings can lead us to yearn for something a little healthier. 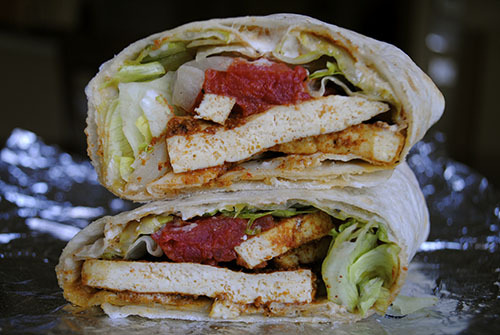 When they do, head over to Conscious Cravings for super tasty vegetarian and vegan items. Whether you like to eat or drink your sweets, Holy Cacao offers “divinely delicious” goodies ranging from hot chocolate to cakeballs. South First Food Court sits at the corner of South 1st Street and Live Oak Street. 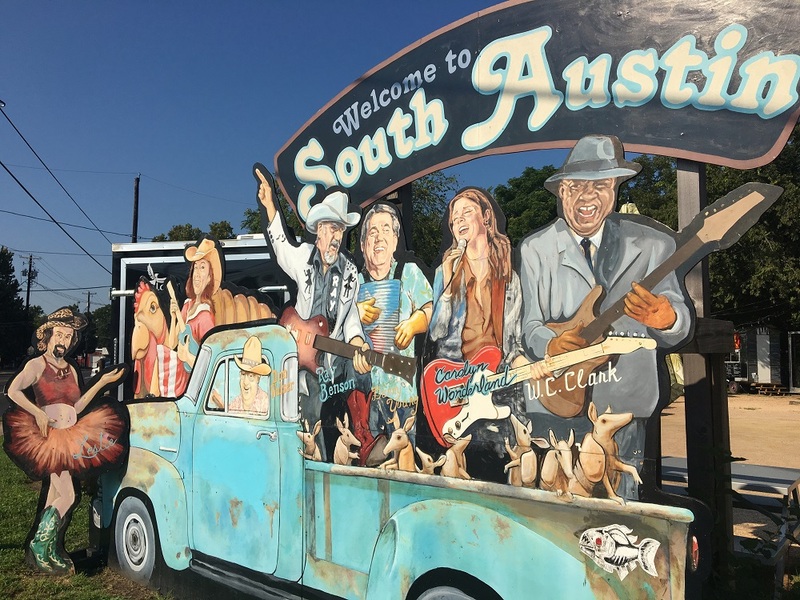 You can’t miss it, since there’s a huge billboard featuring a blue pickup truck and several Austin icons. 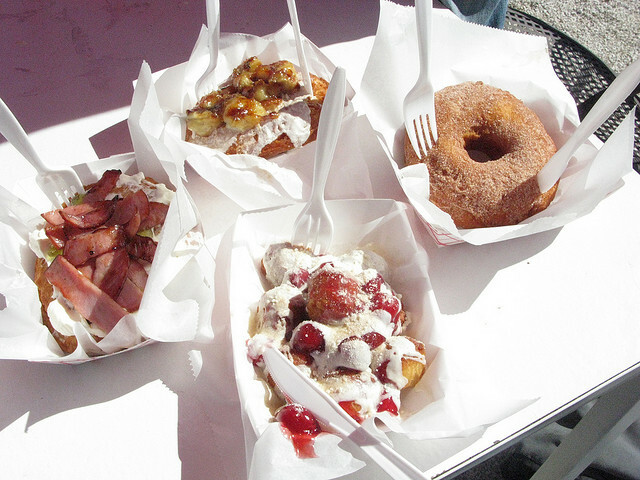 While this food truck park tends to see a lot of turnover, there are always plenty of tasty treats to try. 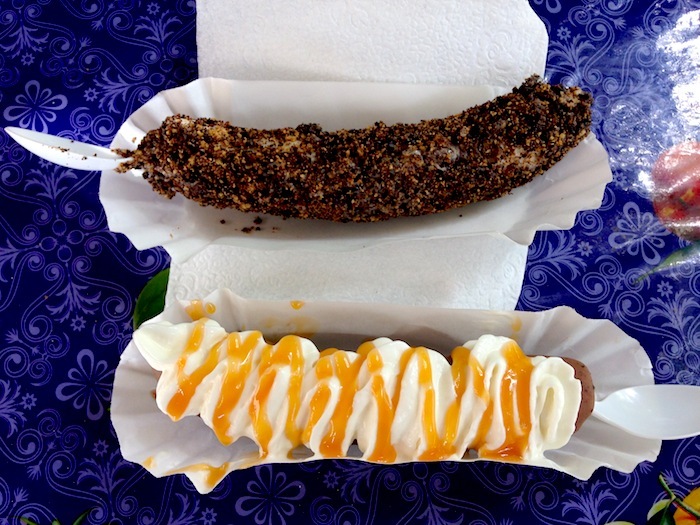 603 W. Live Oak St.
Not only is the name clever, but this frozen banana stand is about to reach the peak of Austin food truck status: Bananarchy will get to feed the masses at Austin City Limits Music Festival this year. This hot dog food truck doesn’t serve your typical ball park frank. Instead, they serve homemade vegan dogs! While vegan and hot dog are two concepts you wouldn’t normally put together, give it a try and I promise you won’t miss the meat–or whatever hot dogs are normally made out of. For those who aren’t familiar with kava, it’s a root typically made into a tea which has a naturally calming effect on the brain. 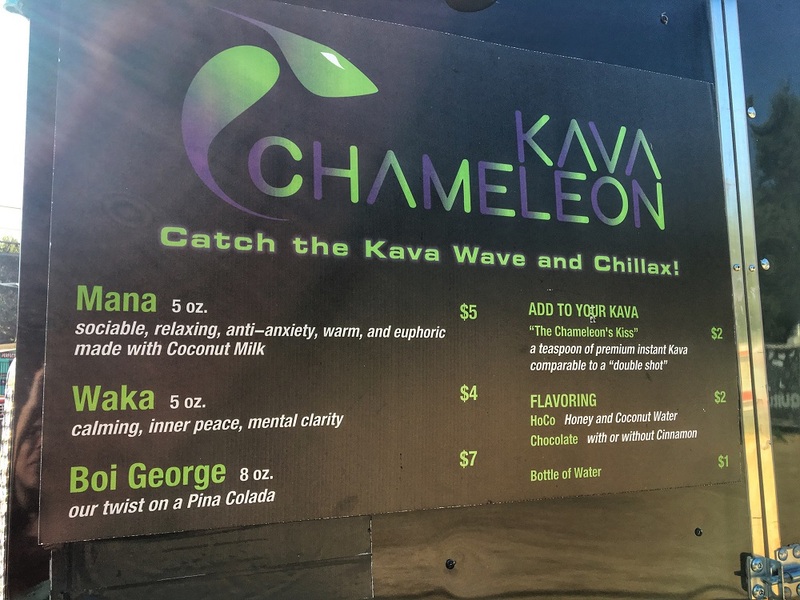 There are only a few kava spots in Austin, and this is the first kava trailer. There are several other food trucks that aren’t located in a particular food court, but still deserve mentioning! 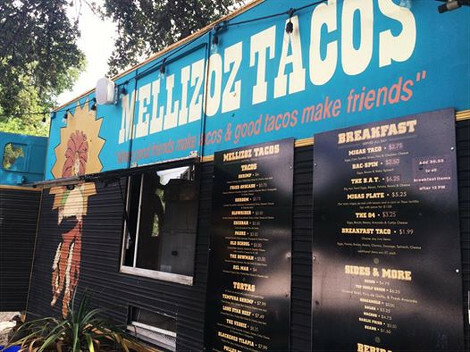 Editor’s note: Mellizoz Tacos has moved from its long-time spot at the corner of South 1st Street and Monroe Street. It’s still on 1st, with new address noted below! One of my favorite taco stands in town, “Izoz” will curb your cravings. You really can’t go wrong with any of their tacos and tortas. Personally, I’m a big fan of the blackened Talapia taco–the Del Mar. This vintage Airstream located right next to Mellizoz Tacos is the original Gourdough’s location. My favorite donut is the Son of a Peach, not only for its punny name, but also for the flavor. Regal Ravioli is definitely king of the pasta kingdom. The folks there have figured out how to make fresh, homemade, delicious pasta from a food truck. This location is also BYOB, so feel free to bring along some wine for a truly authentic Italian meal. Socialize and enjoy the outdoors as you explore these food trucks on South 1st Street in Austin! Have I missed your favorite food truck on South 1st? Let me know in a comment!